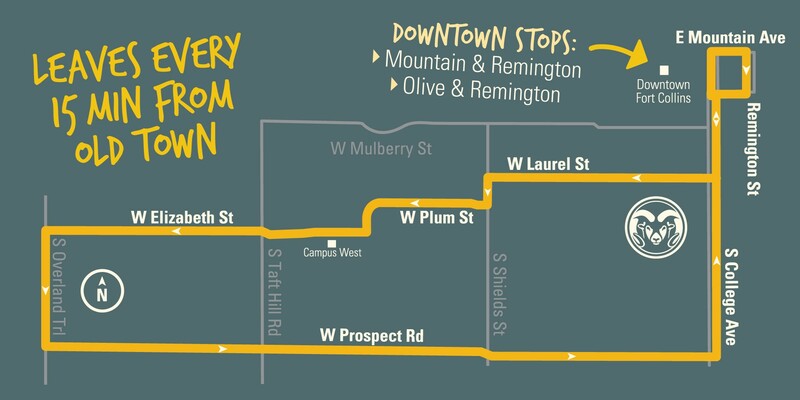 Bike downtown and get a ride back!  Gold Route buses have racks for bikes.  10:30 p.m. to 2:30 a.m.
Departs every 15 minutes from corner of Mountain Ave. and Remington St. 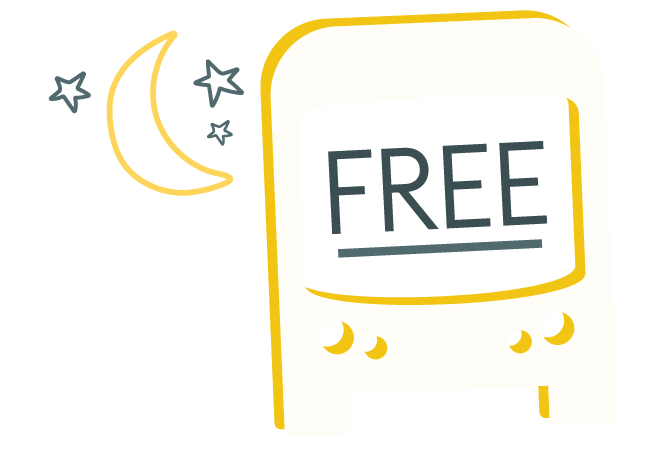 Single ride fares are FREE! This service is brought to you by Association of Students of Colorado State University (ASCSU) and the City of Fort Collins.